This post was written by Fauzan Alfi. It was not an ordinary Friday 13th for Mozilla Indonesia because on May 13th, 2016, it was a very big day for us. 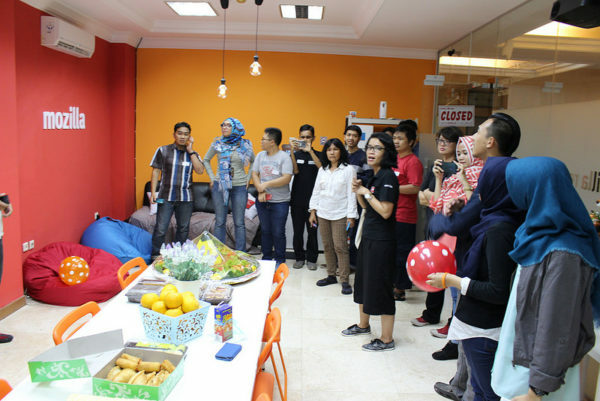 After months of planning and preparation, the Mozilla Community Space Jakarta finally launched and opened for the community. It’s the 4th volunteer-run physical community space after Bangalore (now closed), Manila and Taipei and another one is opening soon in Berlin. 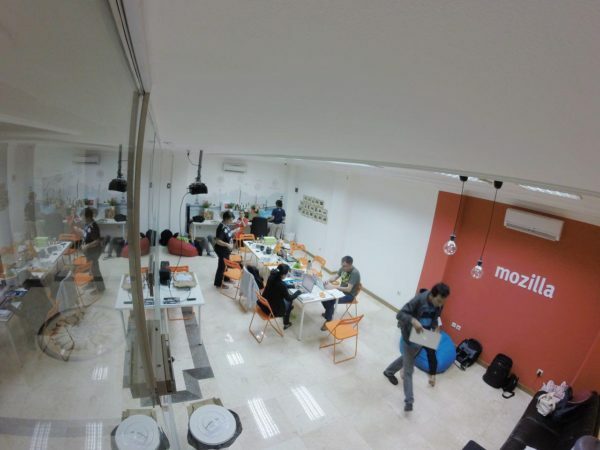 Strategically located in Cikini – Central Jakarta, the Space will become a place for Mozillians from Greater Jakarta and Bandung to do many activities, especially developer-focused events, and to build relationships with other tech communities in the city. Invited to the event were many open source and other communities around the city. Mozilla Reps, FSAs and Mozillians also joined to celebrate the Space opening. On his presentation, Yofie Setiawan (Mozilla Rep, Jakarta Space Manager) hopes that Jakarta Community Space can be useful for many people and communities, especially to educate anyone who comes and joins events that take place in the space. The Jakarta Community Space is around 40 square meters in area that fits 20-30 people inside. On the front side, it has glass wall that’s covered by frosted sticker with some Mozilla projects wording printed on it. Inside, we have some chairs, tables, home theater set, food & drink supplies and coffee machine. Most of the items were donated by Mozillians in Jakarta. One area where the Jakarta Community excelled was with the planning and design. All the processes are done by the community itself. One of Reps from Indonesia, Fauzan Alfi – who has a background in architecture, helped design the space and kept the process transparent on the Community Design GitHub. The purpose is to ignite collaborative design, not only from Indonesian community but also from other parts of the globe. More creativity was shown by creating mural drawings of landmarks in selected cities around the world – including Monas of Jakarta. 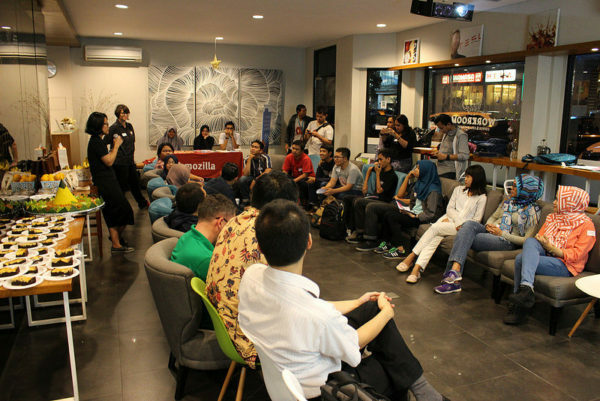 Jakarta Community Space means a lot for Mozilla community in Greater Jakarta and Indonesia, in general. 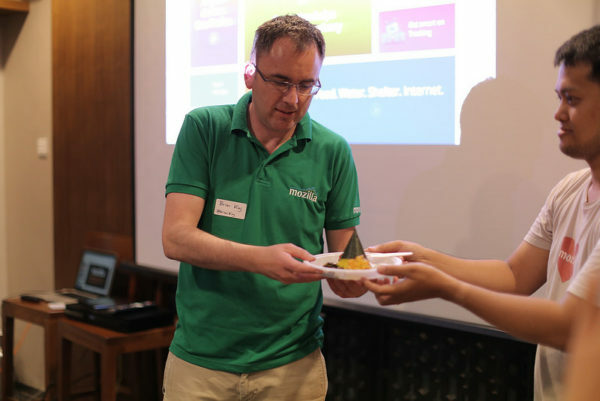 Having a physical place means the Indonesian community will have their own home to spread the mission and collaborate with more communities that are aligned with Mozilla, especially developer communities. Hopefully, the Space will bring more and more people to contribute to Mozilla and help shape the future of the Web. Please tell me when are you planning to open offices in Greece! No plans right now, but you will find many Mozillians hanging around at hackerspace.gr!